To add to the stress of my naptime hustle, Griffin has always been a terrible sleeper. Even at 1-year-old naptimes can be unpredictable, ranging from 40 minutes to 2 hours. Maybe you can relate: My heart drops when I hear him up (and whining!) while I’m just getting into the groove of writing a new post (I’m keeping my fingers crossed that he doesn’t wake up right now, LOL). 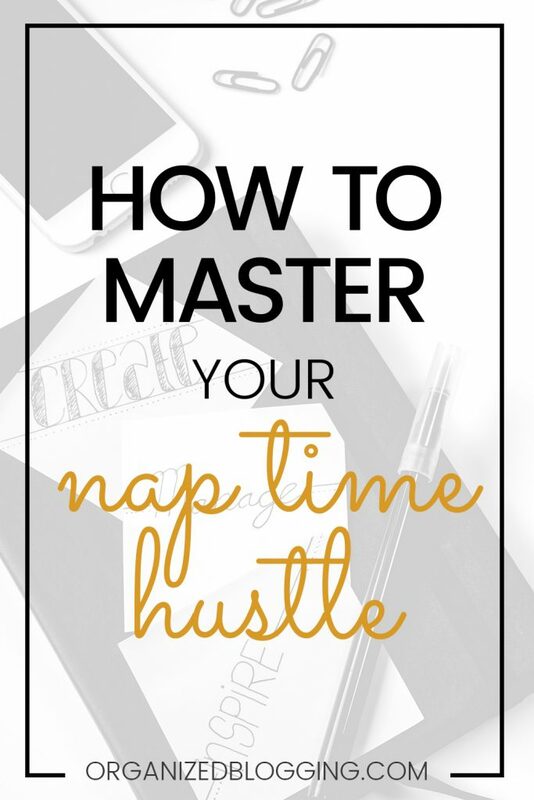 It took me almost a year to master this whole naptime-hustle thing. It’s still not perfect, but I’ve learned a few “hustle hacks” to make the most of my time and be ready for Griffin, whenever he wakes up! Like I mentioned, my biggest struggle was knowing just what to focus on when naptime rolled around. Should I post to Instagram? Work on a new blog post? Edit some photos? Do I deserve 30 minutes to catch up on This is Us? I’d spend a little bit of time on a bunch of tasks, yet “complete” nothing – soo frustrating! So, I created a “naptime hustle” weekly planner. It’s just a simple Google Sheets worksheet where I can plan out my week. I make notes of the week’s activities and list all the work tasks I want to get done. By planning out my tasks ahead of time, it’s 100x easier to focus and get in the work groove faster. The week I started using this planner, I decided to start this blog (my second blog!) because, all-of-the-sudden, I had way more free time! You can snag the exact weekly planner I use at the bottom of this blog post! You heard me, mama. At the start of each naptime, I pee (alone, hallelujah), fill my water bottle, grab a little snack, and maybe do a few dishes before sitting down to work. While I’m tempted to dash to my computer and dive in, I’m usually left feeling more frantic because I didn’t have a couple minutes to myself. Giving myself a few minutes to transition from mama to WAHMama puts me in the right mindset for work. I expect a lot from myself, so when I sit down during naptime and think, “I’m going to hammer out this whole blog post in the next hour,” but Griffin wakes up after 30 minutes, I turn into angry mommy. “Great. Another thing I didn’t finish.” I get SO frustrated and I’m definitely not my best self for Griffin, which I hate. Part of setting goals is to set goals that are attainable. I’m reading the book Finish by John Acuff and he says we only complete about 8% of the goals we create for ourselves. Why? Because SO many of them are next to impossible. We slip up once and call the whole thing off. So, I’ve started setting ridiculously easy goals for myself and lowering my expectations for naptime. Like, “Just start a blog post.” Or, “Just post to Instagram.” You know what’s happening?? Can I tell you??? I’m getting MORE done!! Instead of being overwhelmed by the 5 things I “need” to get done, I’ve paired it down to one easy thing I can totally accomplish. When nap time rolls around and I actually finish that one thing, it is REWARDING! I feel like Super Mommy and I get started on another thing I want to get done. 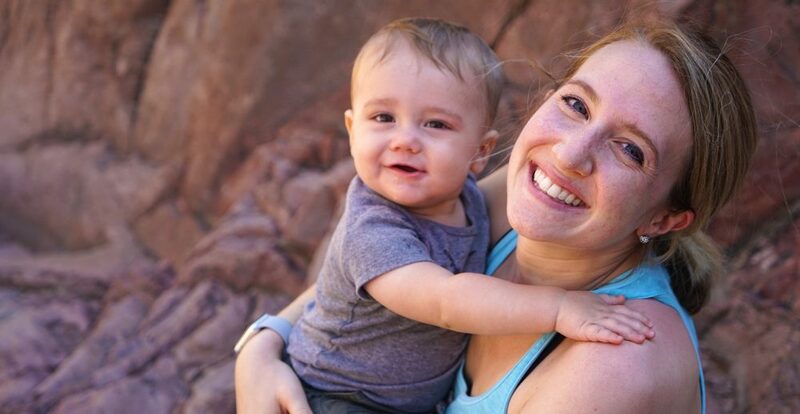 Plus, I’m Super Mommy for Griffin. 4. Put. Your. Phone. AWAY. Repeat after me: Naptime is PRECIOUS. Precious, my sweet mama friend. Don’t let Facebook or Instagram rob you of that precious time! Sure, social media is important for marketing your blog, but ya gotta build that time into your weekly planner. Turn your phone face down, put it on “Do Not Disturb,” set it across the room from you… do what you gotta do to keep you from mindlessly scrolling and wasting your time. Alright, mama… how you feeling? I hope I was able to provide you with some tangible ways to rock your naptime hustle. Make sure to snag your copy of my naptime hustle planner below and let me know in the comments what you’re currently struggling with. Let’s get to work!